This tasty vegetarian burger mix is flavoured with tomato and basil. Just add water, shape into burgers, fry and serve – all in under 20 minutes. Perfect for vegans or anyone following a gluten free diet, although anyone and everyone can enjoy this organic, wholesome, vegetarian alternative to the conventional burger, we’re sure of that! 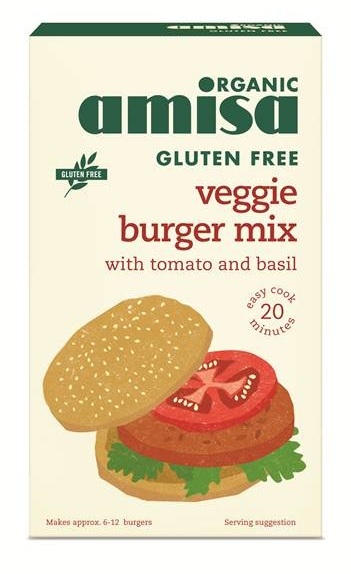 The Amisa Gluten Free Veggie Burger Mix - 140g product ethics are indicated below. To learn more about these product ethics and to see related products, follow the links below. 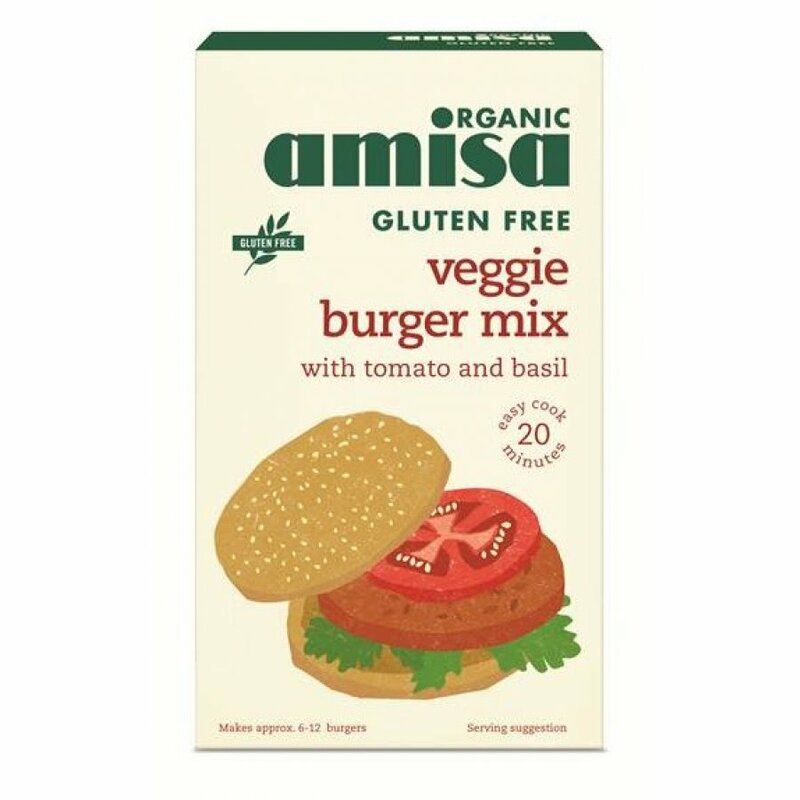 There are currently no questions to display about Amisa Gluten Free Veggie Burger Mix - 140g.